If you haven’t already heard of Reelight, they are a Danish company which makes battery / dynamo free lights. We were fortunate enough to have been sent a set of their top of the range lights, the Reelight RL770 to test out. 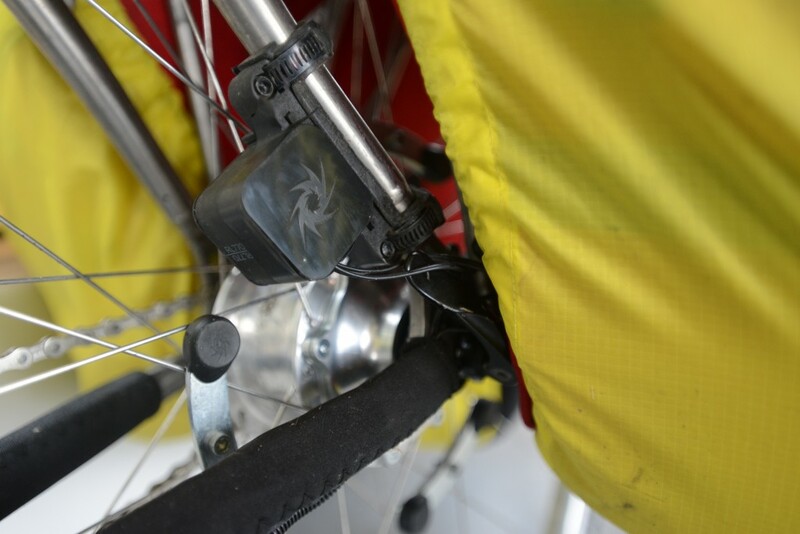 The RL770 has 4 main components: a front light/reflector, a rear light/reflector, magnets which are fixed to the spokes of the rear wheel and the ‘induction generator’ where the power is generated. Installation is a little fiddly, but I imagine it is much the same with a normal dynamo hub. 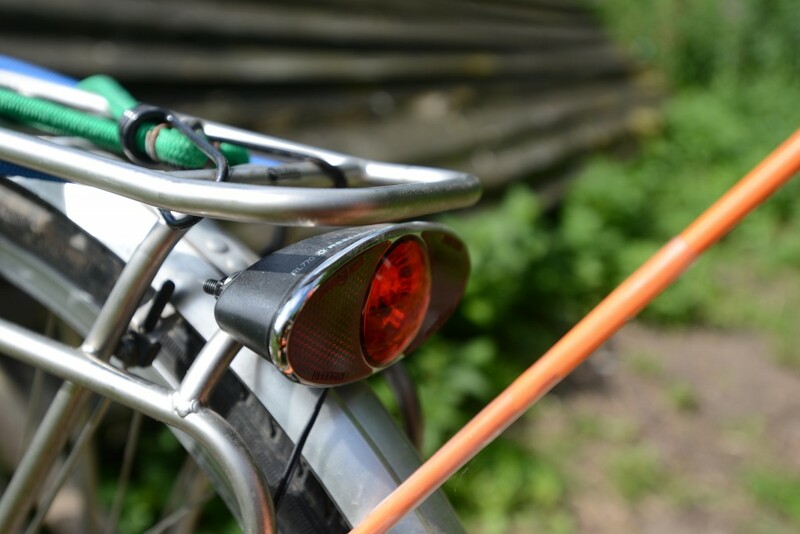 There are a few cables which need to be secured to the frame and rear pannier rack. Mounting the lights is straightforward while mounting the ‘induction dynamo’ takes a little bit more time and requires some care. Overall anyone, even the not so mechanically minded, can fit the lights with ease. The RL770 is the brightest light in the Reelight collection, which is perfect for our trip, and has some nice features which are well suited for the type of riding we plan on doing. The lights are always on; now this may not seem important since we plan on avoiding cycling in the dark if we can. 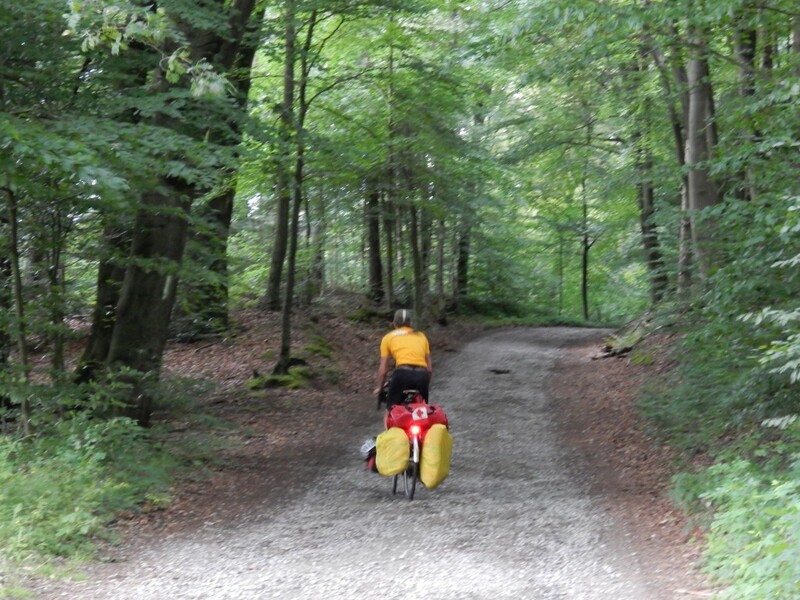 However, it is great to be seen when you cycle into a tunnel, under a bridge or even into some woods on a sunny day. 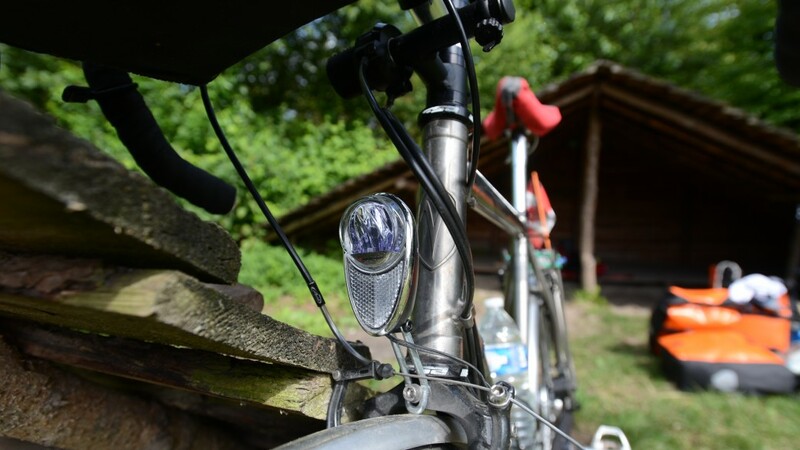 The lights are also integrated with reflectors, which is a plus. 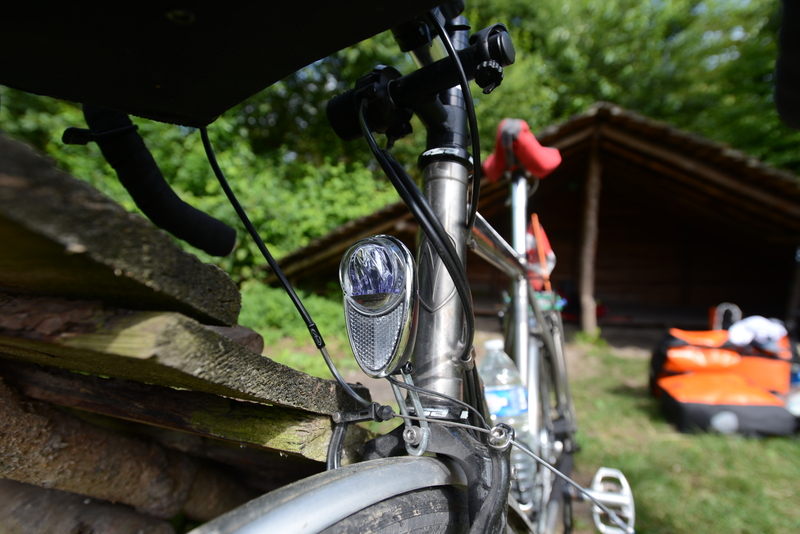 There is also a standlight (the light stays on after you have stopped cycling for a minute or so) for both the front and the back light. So when you pull over you can still be seen. The rear light is bright enough to be seen for a few hundred meters or so. The front light is also quite bright, and lights up the road in front of you a bit when it is dark. I was not able to find out the lumen rating of the light, but the LED light is a clear white/blueish light that is bright enough to be seen on the road. However, if you are looking for a light which will have the same lumen count as a light from a high performance dynamo hub and light can pump out, look elsewhere. If, however, you want something which can give you enough light to get home when its getting a bit dark, and will make you seen on the road, this may be the light for you. The only problem we have had so far has been with the cables. On our second day, while cycling through the ‘Field of Hell’, a cable was caught on some long grass (which we shouldn’t have been cycling in, in the first place) and split in half. It was most likely caused by too much slack in the cables on the underside of the frame, so, as noted above make sure the cables are installed securely. So far the RL770s have been great, and we hope that they will keep lighting our way all the way to Japan. UPDATE (Jan 2015): Following our first (and unplanned) flight of the journey my Reelight has stopped working. Both the rear and front light are currently kaput. Which leads me to believe that the dynamo is the culprit. It may have been damaged during baggage handling, but either way we’re a bit surprised that the Reelight broke so easily. Claire’s set is still going strong, however, a reflector from the rear light fell off and was lost somewhere in Georgia. Hi, I know it’s been a few years, but did you ever request and receive replacement parts? I’m curious about these and a search lead me to your review, which, based on your experiences, doesn’t rally convince me that these may be worth it. Thanks. Hi, are you still using these? I’m trying to find someone with a set that could measure the voltage and amperage of the generator at different speeds.